“Tears of the moon”, as South Sea Pearls were commonly described at the turn of the century, are nature’s amazing gift to humankind providing an infinite myriad of shapes, colour and sizes thus making each pearl unique. South Sea Pearls are naturally beautiful, they require no treatment of any kind rendering them the ideal gift for every special occasion. 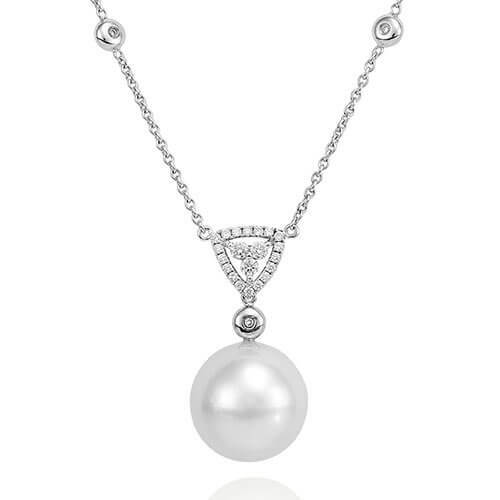 Ranging from a variety of shapes, from the perfectly round pearl to the intriguing baroque shape, Germani boasts a large selection of South Sea and Tahitian Pearl necklaces, bracelets, earrings and rings. Each piece is designed in order to show off the South Sea Pearl in all its glory, enhancing its shape, size, colour and lustre. As shape and size is largely a matter of personal preference and taste, Germani holds a large selection of South Sea Pearl jewellery which will undoubtedly meet everyone’s individual needs.